Some of you may remember I took part in 28 drawings later in 2011, which encouraged me to start using a sketchbook for the first time. I will be eternally gratefull to Victoria for starting it! 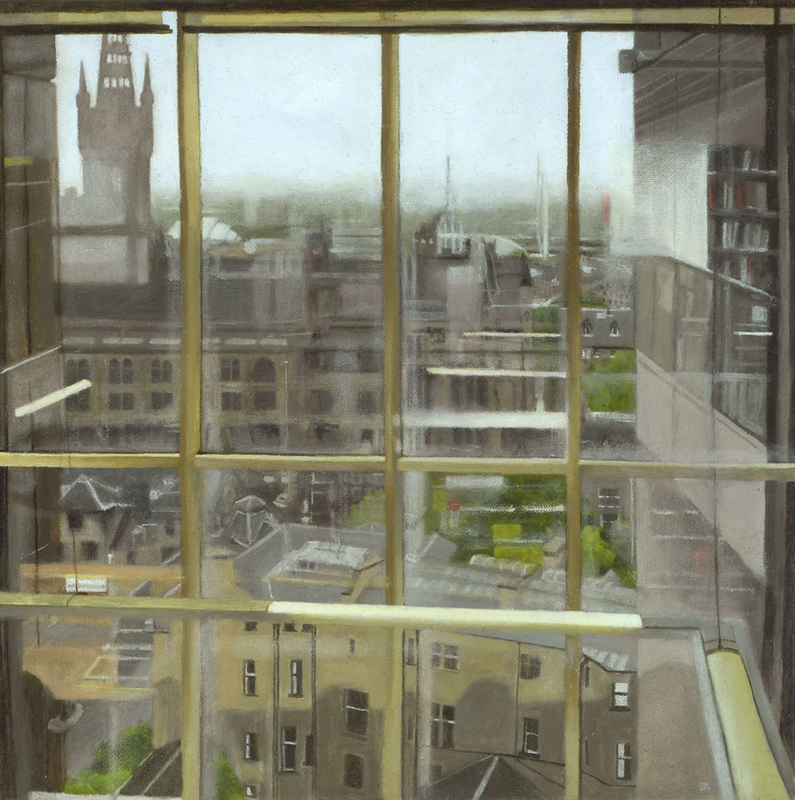 A couple of the drawings I did were of the view from the library og Glasgow University - my first landscapes. 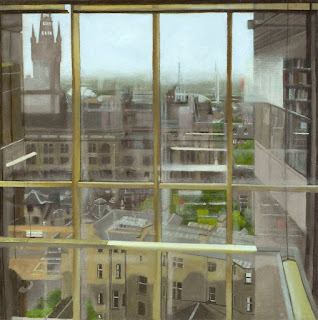 Since then, I have kept returning to the idea and finally I plucked up the courage to try it in oils. Not easy or fun. Those straight lines where a pain - it seems I should have drawn the thing out first, rather than breenging in with the paint like I normally do. I'll know next time.